NEC Corporation of America has granted Michigan State University (MSU) with a gift to the school’s College of Engineering to fund biometric research. As reported by CBS Detroit, the gift will fund ongoing research on fingerprint matching and facial recognition. It will also help start new research in the school’s Pattern Recognition and Image Processing Lab. MSU started its biometrics research lab in 1992. 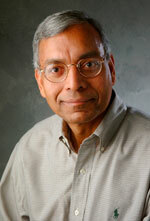 Led by Anil K. Jain, university distinguished professor of computer science and engineering, have done many projects in the field, including work with the Michigan State Police. The amount of the gift was not disclosed.